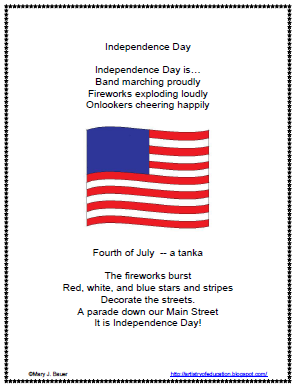 Classroom Freebies Too: Happy Independence Day! 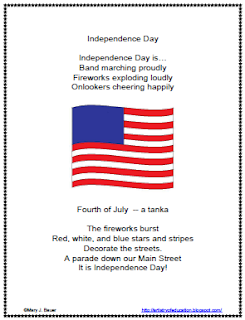 This week on my blog, Artistry of Education, I shared a poetry printable called Two Poems for Independence Day. 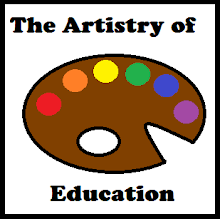 I love reading and writing poetry with my students, and I also share on the same post a couple of teaching suggestions that are not holiday dependent.